Several low-level groupings are well established, but the higher-level structure of the family remains unclear. Although the family is often presented as divided into Sinitic and Tibeto-Burman branches, a common origin of the non-Sinitic languages has never been demonstrated, and is rejected by an increasing number of researchers. A genetic relationship between Chinese, Tibetan, Burmese and other languages was first proposed in the early 19th century, and is now broadly accepted. The initial focus on languages of civilizations with long literary traditions has been broadened to include less widely spoken languages, some of which have only recently, or never, been written. However, the reconstruction of the family is much less developed than for families such as Indo-European or Austroasiatic. Difficulties have included the great diversity of the languages, the lack of inflection in many of them, and the effects of language contact. In addition, many of the smaller languages are spoken in mountainous areas that are difficult to access, and are often also sensitive border zones. Studies of the "Indo-Chinese" languages of Southeast Asia from the mid-19th century by Logan and others revealed that they comprised four families: Tibeto-Burman, Tai, Mon–Khmer and Malayo-Polynesian. Julius Klaproth had noted in 1823 that Burmese, Tibetan and Chinese all shared common basic vocabulary but that Thai, Mon, and Vietnamese were quite different. Ernst Kuhn envisaged a group with two branches, Chinese-Siamese and Tibeto-Burman. [lower-alpha 1] August Conrady called this group Indo-Chinese in his influential 1896 classification, though he had doubts about Karen. Conrady's terminology was widely used, but there was uncertainty regarding his exclusion of Vietnamese. Franz Nikolaus Finck in 1909 placed Karen as a third branch of Chinese-Siamese. Jean Przyluski introduced the term sino-tibétain as the title of his chapter on the group in Meillet and Cohen's Les langues du monde in 1924. He retained Conrady's two branches of Tibeto-Burman and "Sino-Daic", with Miao–Yao included within Daic (Tai–Kadai). The English translation "Sino-Tibetan" first appeared in a short note by Przyluski and Luce in 1931. In 1935, the anthropologist Alfred Kroeber started the Sino-Tibetan Philology Project, funded by the Works Project Administration and based at the University of California, Berkeley. The project was supervised by Robert Shafer until late 1938, and then by Paul K. Benedict. Under their direction, the staff of 30 non-linguists collated all the available documentation of Sino-Tibetan languages. The result was 8 copies of a 15-volume typescript entitled Sino-Tibetan Linguistics. [lower-alpha 2] This work was never published, but furnished the data for a series of papers by Shafer, as well as Shafer's five-volume Introduction to Sino-Tibetan and Benedict's Sino-Tibetan, a Conspectus. 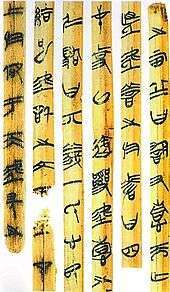 Old Chinese is by far the oldest recorded Sino-Tibetan language, with inscriptions dating from 1200 BC and a huge body of literature from the first millennium BC, but the Chinese script is not alphabetic. Scholars have sought to reconstruct the phonology of Old Chinese by comparing the obscure descriptions of the sounds of Middle Chinese in medieval dictionaries with phonetic elements in Chinese characters and the rhyming patterns of early poetry. The first complete reconstruction, the Grammata Serica Recensa of Bernard Karlgren, was used by Benedict and Shafer. It was somewhat unwieldy, with many sounds with a highly non-uniform distribution. Later scholars have refined Karlgren's work by drawing on a range of other sources. Some proposals were based on cognates in other Sino-Tibetan languages, though workers have also found solely Chinese evidence for them. For example, recent reconstructions of Old Chinese have reduced Karlgren's 15 vowels to a six-vowel system originally suggested by Nicholas Bodman on the basis of comparisons with Tibetic. Similarly, Karlgren's *l has been recast as *r, with a different initial interpreted as *l, matching Tibeto-Burman cognates, but also supported by Chinese transcriptions of foreign names. A growing number of scholars believe that Old Chinese did not use tones, and that the tones of Middle Chinese developed from final consonants. One of these, *-s, is believed to be a suffix, with cognates in other Sino-Tibetan languages. Several low-level branches of the family, particularly Lolo-Burmese, have been securely reconstructed, but in the absence of a secure reconstruction of proto-Sino-Tibetan, the higher-level structure of the family remains unclear. Thus, a conservative classification of Sino-Tibetan/Tibeto-Burman would posit several dozen small coordinate families and isolates; attempts at subgrouping are either geographic conveniences or hypotheses for further research. Many Chinese linguists continue to follow Li's classification. [lower-alpha 4] However, this arrangement remains problematic. For example, there is disagreement over whether to include the entire Tai–Kadai family or just Kam–Tai (Zhuang–Dong excludes the Kra languages), because the Chinese cognates that form the basis of the putative relationship are not found in all branches of the family and have not been reconstructed for the family as a whole. 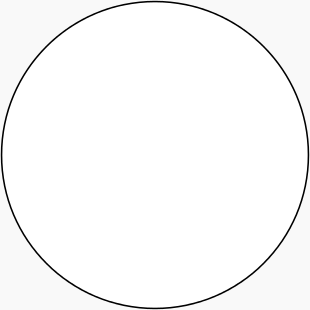 In addition, Kam–Tai itself no longer appears to be a valid node within Tai–Kadai. Shafer was skeptical of the inclusion of Daic, but after meeting Maspero in Paris decided to retain it pending a definitive resolution of the question. Some more-recent Western scholars, such as Bradley (1997) and La Polla (2003), have retained Matisoff's two primary branches, though differing in the details of Tibeto-Burman. However, Jacques (2006) notes, "comparative work has never been able to put forth evidence for common innovations to all the Tibeto-Burman languages (the Sino-Tibetan languages to the exclusion of Chinese)"[lower-alpha 6] and that "it no longer seems justified to treat Chinese as the first branching of the Sino-Tibetan family,"[lower-alpha 7] because the morphological divide between Chinese and Tibeto-Burman has been bridged by recent reconstructions of Old Chinese. Van Driem, like Shafer, rejects a primary split between Chinese and the rest, suggesting that Chinese owes its traditional privileged place in Sino-Tibetan to historical, typological, and cultural, rather than linguistic, criteria. He calls the entire family "Tibeto-Burman", a name he says has historical primacy, but other linguists who reject a privileged position for Chinese continue to call the resulting family "Sino-Tibetan". Van Driem also suggested that the Sino-Tibetan language family be renamed "Trans-Himalayan", which he considers to be more neutral. 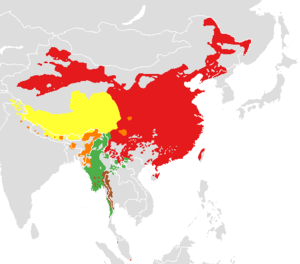 Because they propose that the three best-known branches may actually be much closer related to each other than they are to "minor" Sino-Tibetan languages, Blench and Post argue that "Sino-Tibetan" or "Tibeto-Burman" would be inappropriate names for a family whose earliest divergences led to different languages altogether. They support the proposed name "Trans-Himalayan". Except for the Chinese, Karen, and Bai languages, the usual word order in Sino-Tibetan languages is object–verb. Most scholars believe this to be the original order, with Chinese, Karen and Bai having acquired subject–verb–object order due to the influence of neighbouring languages in the Mainland Southeast Asia linguistic area. However, Chinese and Bai differ from almost all other VO languages in the world in placing relative clauses before the nouns they modify. Beyond the traditionally recognized families of Southeast Asia, a number of possible broader relationships have been suggested. One of these is the "Sino-Caucasian" hypothesis of Sergei Starostin, which posits that the Yeniseian languages and North Caucasian languages form a clade with Sino-Tibetan. The Sino-Caucasian hypothesis has been expanded by others to "Dené–Caucasian" to include the Na-Dené languages of North America, Burushaski, Basque and, occasionally, Etruscan. Edward Sapir had commented on a connection between Na-Dené and Sino-Tibetan. A narrower binary Dené–Yeniseian family has recently been well-received, though not conclusively demonstrated. In contrast, Laurent Sagart proposes a Sino-Austronesian family relating Sino-Tibetan to the Austronesian and Tai–Kadai languages. There is no ethnic unity among the many peoples who speak Sino-Tibetan languages. The most numerous are the Han Chinese, numbering 1.3 billion. The Hui (10 million) also speak Chinese but are officially classified as ethnically distinct by the Chinese government. The more numerous peoples speaking other Sino-Tibetan languages are the Burmese (42 million), Yi (Lolo) (7 million), Tibetans (6 million), Karen (5 million), Tripuri (1.3 million), Meitheis (1.5 million), Gurung (1 million), Naga (1.2 million), limbu (4.3millon)Tamang (1.1 million), Chin (1.1 million), Newar (1 million), Bodo (2.2 million), and Kachin (1 million). The Burmese live in Burma (Myanmar). Kachin, Karen, Red Karen, and Chin peoples live in the Rakhine, Kachin, Kayin, Kayah, and Chin states of Burma. Tibetans live in the Tibet Autonomous Region, Qinghai, western Sichuan, Gansu, and northern Yunnan provinces in China and in Ladakh in the Kashmir region of Pakistan and India, whereas Manipuris, Mizo, Naga, Tripuri and Garo live in Manipur, Mizoram, Nagaland, Tripura, and Meghalaya states of India. Bodo and Karbi live in Assam, India, whereas Tagin, Adi, Nishi, Apa Tani, Galo, and Idu Mishmis live in Arunachal Pradesh, India. The Newar and Tamang live in Nepal and Sikkim, India. ↑ Karlgren's reconstruction, with aspiration as 'h' and 'i̯' as 'j' to aid comparison. ↑ See, for example, the "Sino-Tibetan" (汉藏语系 Hàn-Zàng yǔxì) entry in the "languages" (語言文字, Yǔyán-Wénzì) volume of the Encyclopedia of China (1988). ↑ For Shafer, the suffix "-ic" denoted a primary division of the family, whereas the suffix "-ish" denoted a sub-division of one of those. 1 2 Hale (1982), p. 4. ↑ van Driem (2001), p. 344. ↑ Sapir (1925), p. 373. ↑ Przyluski & Luce (1931). ↑ Miller (1974), p. 195. ↑ Miller (1974), pp. 195–196. ↑ Matisoff (1991), p. 473. 1 2 Handel (2008), p. 434. ↑ Benedict (1972), pp. 20–21. 1 2 Handel (2008), pp. 425–426. ↑ Miller (1974), p. 197. ↑ Matisoff (2003), p. 16. ↑ Matisoff (1991), pp. 471–472. ↑ Baxter (1992), pp. 25–26. ↑ Baxter (1992), pp. 197, 199–202. ↑ Beckwith (2002a), pp. xiii–xiv. ↑ Thurgood (2003), p. 17. ↑ Handel (2008), p. 431. ↑ Hill (2014), pp. 97–104. ↑ Matisoff (1991), pp. 472–473. ↑ Hale (1982), pp. 4–5. ↑ Matisoff (1991), pp. 470, 476–478. ↑ Handel (2008), p. 435. ↑ Matisoff (1991), p. 482. ↑ Handel (2008), p. 426. ↑ DeLancey (2009), p. 695. ↑ Li (1937), pp. 60–63. 1 2 3 Handel (2008), p. 424. ↑ Matisoff (1991), p. 487. ↑ Benedict (1942), p. 600. ↑ Benedict (1972), pp. 2–4. ↑ Shafer (1955), pp. 94–96. ↑ Shafer (1955), pp. 99–108. ↑ Shafer (1966), p. 1. ↑ Shafer (1955), pp. 97–99. ↑ van Driem (2001), pp. 343–344. ↑ van Driem (2001), p. 383. ↑ van Driem (2001), p. 403. ↑ van Driem (2014), p. 19. ↑ van Driem (2007), p. 226. ↑ Dryer (2003), pp. 43–45. ↑ Dryer (2003), pp. 50. ↑ Handel (2008), p. 430. ↑ LaPolla (2003), pp. 29–32. ↑ LaPolla (2003), pp. 34–35. 1 2 Burling (1983), p. 28. ↑ van Driem (1987), pp. 32–33. ↑ Sharma (1988), p. 116. ↑ Yanson (2006), p. 106. ↑ Lewis, Simons & Fennig (2015). —— (2002a), "Introduction", in Beckwith, Christopher, Medieval Tibeto-Burman languages, Brill, pp. xiii–xix, ISBN 978-90-04-12424-0. —— (2002b), "The Sino-Tibetan problem", in Beckwith, Christopher, Medieval Tibeto-Burman languages, Brill, pp. 113–158, ISBN 978-90-04-12424-0. —— (1972), Sino-Tibetan: A Conspectus (PDF), Cambridge University Press, ISBN 978-0-521-08175-7. Blench, Roger; Post, Mark (2013), "Rethinking Sino-Tibetan phylogeny from the perspective of North East Indian languages", in Hill, Nathan W.; Owen-Smith, Thomas, Trans-Himalayan Linguistics, Berlin: Mouton de Gruyter, pp. 71–104, ISBN 978-3-11-031083-2. DeLancey, Scott (2009), "Sino-Tibetan languages", in Comrie, Bernard, The World's Major Languages (2nd ed. ), Routledge, pp. 693–702, ISBN 978-1-134-26156-7. —— (1997), "Sino-Bodic", Bulletin of the School of Oriental and African Studies, 60 (3): 455–488, doi:10.1017/S0041977X0003250X. —— (2001), Languages of the Himalayas: An Ethnolinguistic Handbook of the Greater Himalayan Region, Brill, ISBN 978-90-04-12062-4. —— (2007), "The diversity of the Tibeto-Burman language family and the linguistic ancestry of Chinese" (PDF), Bulletin of Chinese Linguistics, 1 (2): 211–270. —— (2014), "Trans-Himalayan" (PDF), in Owen-Smith, Thomas; Hill, Nathan W., Trans-Himalayan Linguistics: Historical and Descriptive Linguistics of the Himalayan Area, Berlin: de Gruyter, pp. 11–40, ISBN 978-3-11-031083-2. Dryer, Matthew S. (2003), "Word order in Sino-Tibetan languages from a typological and geographical perspective", in Thurgood, Graham; LaPolla, Randy J., The Sino-Tibetan languages, London: Routledge, pp. 43–55, ISBN 978-0-7007-1129-1. Kuhn, Ernst (1889), "Beiträge zur Sprachenkunde Hinterindiens" (PDF), Sitzungsberichte der Königlichen Bayerischen Akademie der Wissenschaften, Philosophisch-Philologische und Historische Klasse, Sitzung vom 2 März 1889, pp. 189–236. LaPolla, Randy J. (2003), "Overview of Sino-Tibetan morphosyntax", in Thurgood, Graham; LaPolla, Randy J., The Sino-Tibetan languages, London: Routledge, pp. 22–42, ISBN 978-0-7007-1129-1. Li, Fang-Kuei (1937), "Languages and Dialects", in Shih, Ch'ao-ying; Chang, Ch'i-hsien, The Chinese Year Book, Commercial Press, pp. 59–65, reprinted as Li, Fang-Kuei (1973), "Languages and Dialects of China", Journal of Chinese Linguistics, 1 (1): 1–13, JSTOR 23749774. —— (1858), "The West-Himalaic or Tibetan tribes of Asam, Burma and Pegu", Journal of the Indian Archipelago and Eastern Asia, 2 (1): 68–114. —— (2000), "On 'Sino-Bodic' and Other Symptoms of Neosubgroupitis", Bulletin of the School of Oriental and African Studies, 63 (3): 356–369, doi:10.1017/s0041977x00008442, JSTOR 1559492. —— (2003), Handbook of Proto-Tibeto-Burman: System and Philosophy of Sino-Tibetan Reconstruction, Berkeley: University of California Press, ISBN 978-0-520-09843-5. Sagart, Laurent (2005), "Sino-Tibetan–Austronesian: an updated and improved argument", in Sagart, Laurent; Blench, Roger; Sanchez-Mazas, Alicia, The Peopling of East Asia: Putting Together Archaeology, Linguistics and Genetics, London: Routledge Curzon, pp. 161–176, ISBN 978-0-415-32242-3. —— (1955), "Classification of the Sino-Tibetan languages", Word (Journal of the Linguistic Circle of New York), 11 (1): 94–111, doi:10.1080/00437956.1955.11659552. —— (1966), Introduction to Sino-Tibetan, 1, Wiesbaden: Otto Harrassowitz, ISBN 978-3-447-01559-2. Thurgood, Graham (2003), "A subgrouping of the Sino-Tibetan languages", in Thurgood, Graham; LaPolla, Randy J., The Sino-Tibetan languages, London: Routledge, pp. 3–21, ISBN 978-0-7007-1129-1. Yanson, Rudolf A. (2006), "Notes on the evolution of the Burmese phonological system", in Beckwith, Christopher I., Medieval Tibeto-Burman Languages II, Leiden: Brill, pp. 103–120, ISBN 978-90-04-15014-0. Baxter, William H. (1995), "'A Stronger Affinity ... Than Could Have Been Produced by Accident': A Probabilistic Comparison of Old Chinese and Tibeto-Burman", in Wang, William S.-Y., The Ancestry of the Chinese Language, Journal of Chinese Linguistics Monographs, 8, Berkeley: Project on Linguistic Analysis, pp. 1–39, JSTOR 23826142. —— (2003), "Tibeto-Burman vs. Sino-Tibetan", in Winter, Werner; Bauer, Brigitte L. M.; Pinault, Georges-Jean, Language in time and space: a Festschrift for Werner Winter on the occasion of his 80th birthday, Walter de Gruyter, pp. 101–119, ISBN 978-3-11-017648-3. Gong, Hwang-cherng (2002), Hàn Zàng yǔ yánjiū lùnwén jí 漢藏語硏究論文集 [Collected papers on Sino-Tibetan linguistics], Taipei: Academia Sinica, ISBN 957-671-872-4. Kuhn, Ernst (1883), Über Herkunft und Sprache der transgangetischen Völker, Munich: Verlag d. k. b. Akademie.